At The Oceanaire Realty we have the experience you need to make your best move – not only for our clients, but for our agents as well. We are seeking a dedicated, dynamic, fun, yet serious agent to join our growing work family. We have positions available in the Triangle, NC area and out of our office location in Holly Ridge, NC. •You see yourself being part of a high performing, collaborative team of like-minded professionals. •You see yourself being at the top of your field. •You see yourself as a career oriented professional. •You see yourself consistently earning high five to six figures. •You see yourself as being a goal oriented and directed achiever. •You see yourself focused on helping others achieve their real estate goals. •You are a licensed broker in North Carolina. The Oceanaire Realty is the place where the people with this vision and culture can find a home. 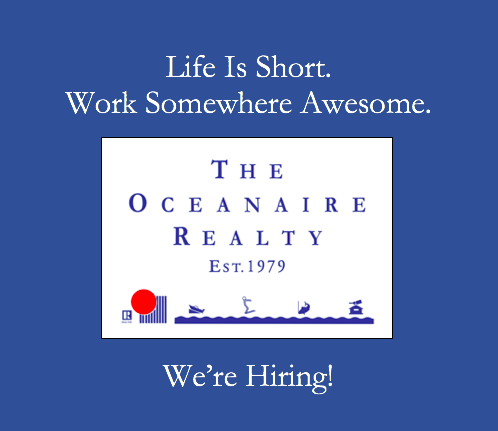 Email Doug@TheOceanaireRealty.com and we can have a confidential conversation about this opportunity for your success.